Wild Apricot makes websites more mobile friendly! In this month's Update, we'll delve deeper into responsive design. 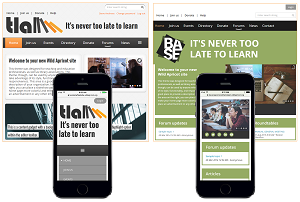 We’ll look at the resources we are providing to support responsiveness – including our new responsive themes and the upgrading of existing themes throughout the year – and how you can transition your Wild Apricot site to a responsive format. We’ll also introduce our new Support Team Manager, Kevin Jervis, who has taken on the important role of supervising and leading our team of Software Support Consultants. Allison Fine is among the pre-eminent guides to the social media revolution. 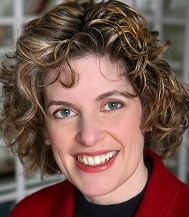 She is the author of the award-winning Momentum: Igniting Social Change in the Connected Age and co-author of the bestselling The Networked Nonprofit. In this upcoming Expert Webinar, Allison will share insights from her most recent book – Matterness: What Fearless Leaders Know About the Power and Promise of Social Media. She'll help you discover whether people feel like they matter to your organization and outline a new kind of leadership that generates trust, creativity, good will and generosity. Read more about it here. Missed the last Expert Webinar? > Visit our webinars page for more information. We're Talking About...Breaking the Mold on Your Events! In our recent Expert Webinar with Jeff Hurt – "Revolutionize Your Meetings & Events", we discussed 6 big event “hacks” that will change the way you deliver events. This includes turning attendees into "co-creators", thinking of organizers as "experience designers" and transforming speakers into facilitators. But...how exactly does one do this? What does it mean for your organization, volunteers and staff? Where do you start?! Join our Small Membership Advisory Group Call on March 11th to share your thoughts, concerns and ideas. The Small Membership Advisory Community (SMAC) is a monthly call-in session where volunteers, staff and board members connect, share stories and learn from each other. Sign up here to join! Here are highlights from our Expert Webinar – Tools For More Effective Board Meetings – with Rick Lent, author and professional meeting facilitator. 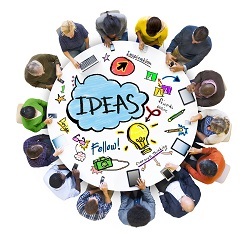 We offered tips from an expert, now here are 7 simple but effective tips and ideas for running more effective board meetings – shared by your membership peers. If you're looking for some help in making your silent auctions more successful, check out our latest guide: Silent Auctions Simplified. Thank You for Your Tweets!! Here's a small selection of tweets from our Expert Webinar yesterday with Jeff Hurt on "Revolutionize Your Meetings and Events". Thank you to all those who participated! "Role of the speaker is changing - no longer knowledge dispenser. Attendees get that on the web. 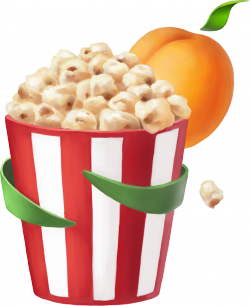 @JeffHurt #eventprofs"
"Participating in an event webinar with @WildApricot and @JeffHurt that's getting me SO excited for this year's @ivohMedia #ivohsummit15"